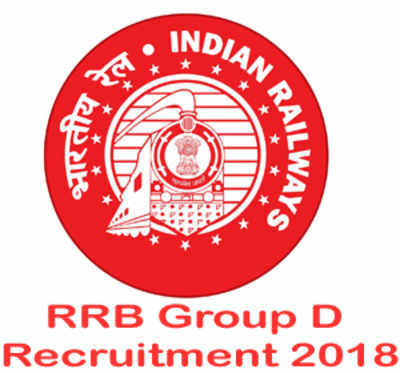 The eligible candidates can go through the RRB 2019 Group D Application Process which instructs the candidates in filling the Application Form step by step. Colour photograph with a white/light color background. Dimensions should be 35mmX45mm with name and date printed on it. The photograph must have been taken on or after 01-12-2017 in a professional studio. The photo should have the front view of the candidate without cap and sunglasses. The face must not be covered by the hair of the head, any cloth or any shadow. In case the candidate wears spectacles, then the photograph should not have any glare on glasses. The photograph must match with the candidate on the day of various stages of Computer-Based Test and Document Verification. PWD candidates should also upload passport photograph as per above specifications only and not the full body photograph used in the disability certificate. The RRB 2019 Group D Application Form fee is tabulated below. The application fee varies from category to category. NOTE: Candidates who need to make changes in the RRB 2019 Group D Application Form have to pay an amount of Rs. 100/-. Mode of Payment: Candidates can choose their mode of payment. The Railway Recruitment Board has given two options to the candidates to pay for the Group D 2019 Exam. Offline - Candidates can also pay through the offline method by depositing the amount in any Recognized Banks in India, or any computerized Post Office in India. NOTE: The candidates are advised to take a print out of the Payment Confirmation Page for their future references. Under no circumstances, the RRB will refund the Application Form Fee to the candidates. The RRB has announced that they do not accept the payment fee under any other method.